Add a calm and refreshing ambiance to any room with this beautiful white tea scented candle made from a soy wax and paraffin blend. 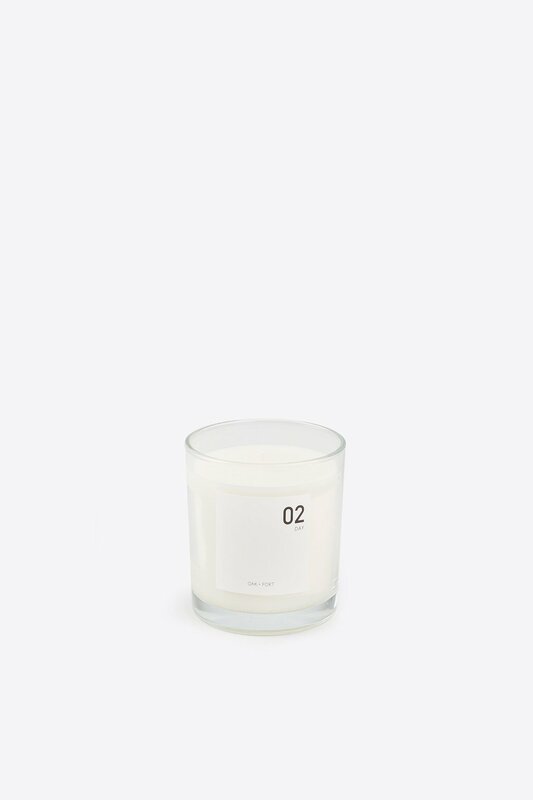 Simply packaged in a glass container with an understated label on the front, this candle adds a special homey touch to any decor. Approximate burn time is 40 hours. Care Instructions: Use caution when burning (burn within sight and away from combustibles and children). Recommended to trim wick to 1/4" after burning.